Telescope and Site is a subsystem of the LSST Project which includes the telescope itself, as well as the buildings and facilities needed to support the operations and maintenance of LSST. The LSST Telescope features a unique three-mirror, three-lens optical assembly and the world’s largest CCD camera. The telescope’s movement is powered by magnet motors, ensuring fast, smooth, and quiet slewing from one observation field to the next. The telescope's active optics system allows us to change the shape of the different mirrors in order to constantly improve image quality. Light baffles, wind protection, and thermal controls with natural ventilation and daytime cooling mitigate environmental issues such as ambient light, wind, and large variations in temperature, which can all affect image quality. The LSST telescope and facility are designed to be highly automated, requiring little human intervention. 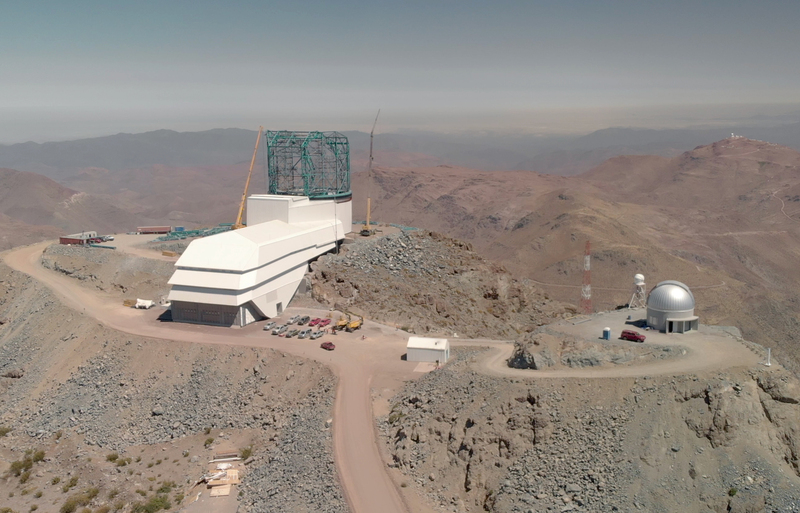 During observing, the telescope will be controlled by a sophisticated LSST observatory software scheduler, while an operator will always be on duty at the summit. Researchers can also monitor progress in real time at any remote operation center. Limited summit staff will be available to ensure safe operation, and to troubleshoot as needed. As of March 2019, the exterior of the summit facility building is nearly complete. Inside, major components of the telescope have begun to arrive from their places of manufacture around the globe, including the mirror washing and coating equipment, and the Secondary Mirror (M2) and its support system. For up-to-date information on construction progress, follow us on social media and read the news posts on our website home page.